I got 4 super bubbly baths out of this bubble bar. I should have taken a photo before using it because there is no packaging! So, sorry for the stock photo above :) If you are new to Lush and bubble bars, you just crumble a bit of it under running water. It smells like bergamot, lemon and mandarin and it makes a crazy amount of bubbles. It is also moisturizing. My skin feels so soft after using this bubble bar. Pop in the Bath is one of my favorites and I will definitely repurchase. I forgot to include this one in last month's Bye Bye Loves. 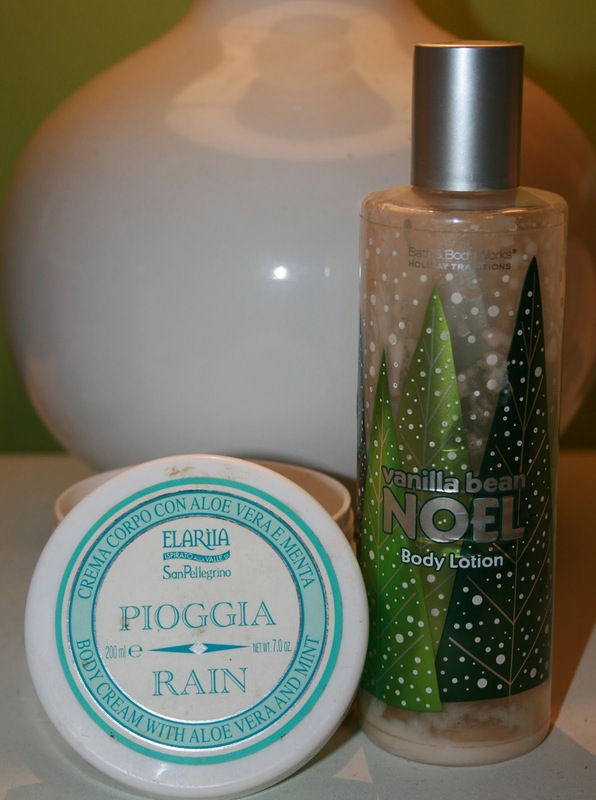 This is a staple body lotion for me in the colder weather months. Something about the sweet, sugar cookie like smell is just so warm and cozy! I buy a new one (or two) every Holiday so I am never without it. 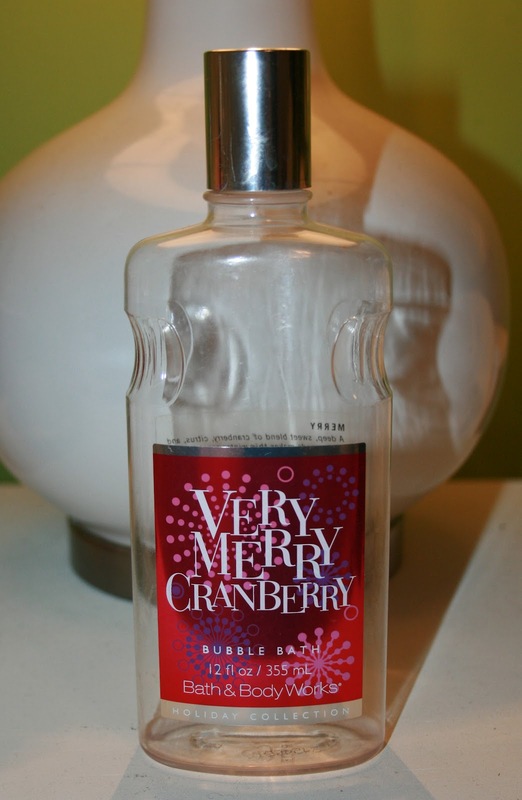 I will occasionally use it in the Spring & Summer, but I always use it in the Fall & Winter and whenever I do, I get compliments on the fragrance. I'm sad that this one is now discontinued! The scent is amazing. It is fresh and clean with a green note that smells a bit like fresh cut grass. It feels really moisturizing but it is still easily absorbed and does not leave that sticky feeling on my skin that some heavier creams do. I would repurchase this if it was still available. 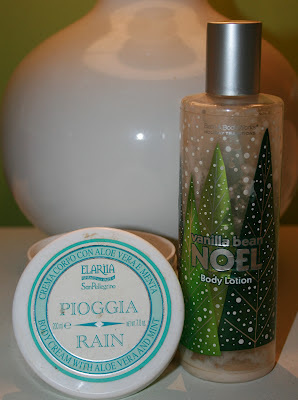 I guess I will have to try some of the other fragrances that Elariia offers in this body cream. This is my all time favorite hand cream! I bought an embarrassing amount of these when they were discontinued at Bath and Body Works, but I am so glad I did! I got an mazing deal on them, but I will certainly pay full price for them at drugstore.com when I run out. I'm just so glad that they are still available somewhere! I LOVE the honey fragrance and the cream is so thick and moisturizing. I shudder to think what my hands would look like without this cream. This hand cream feels the same to me as the Honey & Shea Repairing Hand Cream, just with a different scent. This one has a crisp, lemon and verbena scent. I like this fresh fragrance for the Spring and Summer when I just so happen to do a lot of gardening :) I highly recommend checking out this hand cream when your hands are in need of some extra help. It is a few dollars more than the Honey Cream, but the tube is larger so it is a better value. I will certainly be repurchasing this one, too.